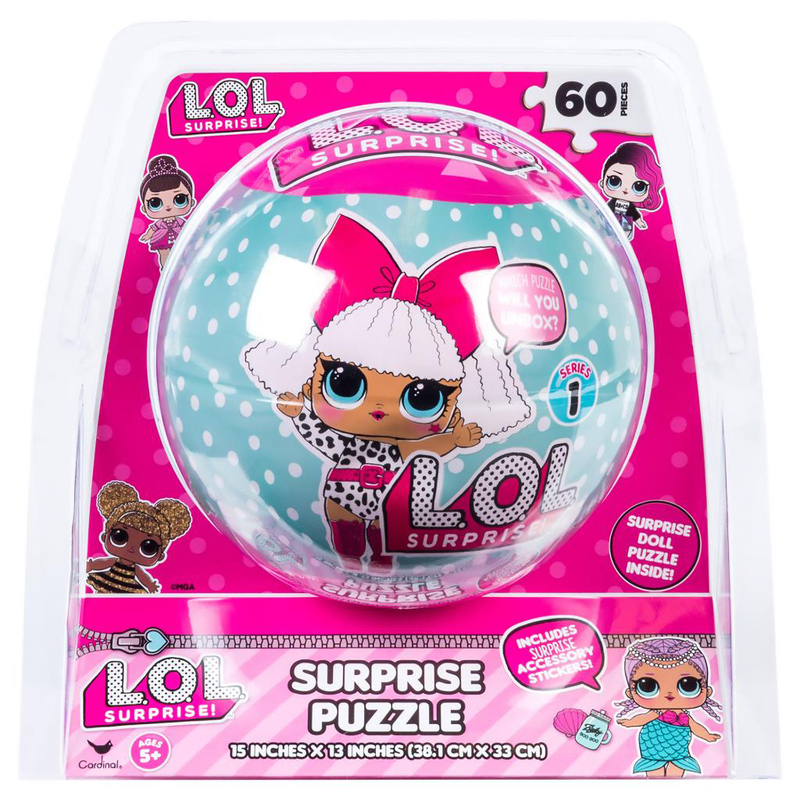 This puzzle ball with a mystery puzzle inside is based on the #1 collectible—L.O.L. Surprise! Unwrap the sphere, then pop it open to reveal the pieces. Once it’s complete, one of your favorite L.O.L. Babies will be revealed! Which one will you find inside—Merbaby, Queen Bee, Rocker, or Diva? It’s a surprise, so put together your 60-piece puzzle to find out!